The terms of the deal were not disclosed but the Irish Independent understands that Aramark will pay in excess of €60m. Avoca has 11 outlets across Ireland - as well as a home catering company and employs 850 staff. Managing director Simon Pratt said the deal, which hinges on approval from the Irish competition authority, would secure the company's future and that of its employees. He said Aramark was "committed to maintaining the heritage of [the company]." Mr Pratt, his parents Donald and Hilary, and his siblings Vanessa, Ivan and Amanda are the current owners of the company. Amanda Pratt, who was Avoca's head designer, left the business last year, saying she wanted to "do something different", but maintained her stake in the business. The deal concludes a lengthy sales process, with interest in the company sparked when Mr Pratt said in an interview last year that he didn't envisage the company would pass to the next generation of the family. "To be honest, it would be our view that the company won't be passed on to our kids. We've felt that way for a long, long time…in the next generation, you could potentially have 10 kids, all of different ages and with different skills and interests," Mr Pratt said. "It would be almost inevitable that there would be conflict, and the idea that my kids could end up not speaking to my sister's kids is just appalling. It wouldn't be right," he added. Though never officially named by Avoca until now, Aramark had long been linked with a move for the business, and in August the Irish Independent reported that the Pratts had entered exclusive negotiations for the company's sale. Mr Pratt will remain as managing director after the deal is closed, and his parents and siblings Ivan and Vanessa will also remain with the business. Donal O'Brien, the president of Aramark's Irish operations, said the deal was an "important, strategic investment". "Avoca's recognised culinary provenance and artisan heritage brings both enhanced capabilities and a strong brand to Aramark," Mr O'Brien added. "Working with Simon Pratt and the team, we have a huge opportunity to internationalise a truly Irish culinary dining experience." Mr Pratt said his family are "very excited at this latest development for Avoca and believe it is the right decision for us as a business and a family, at the right time and with the right partner." "Aramark provides us with the corporate structures, the global reach and the resources to reach our fullest potential and to continue to grow both in Ireland and internationally. Avoca has been in existence for nearly 300 years and with this acquisition we are securing its future and that of our 850 employees," he added. 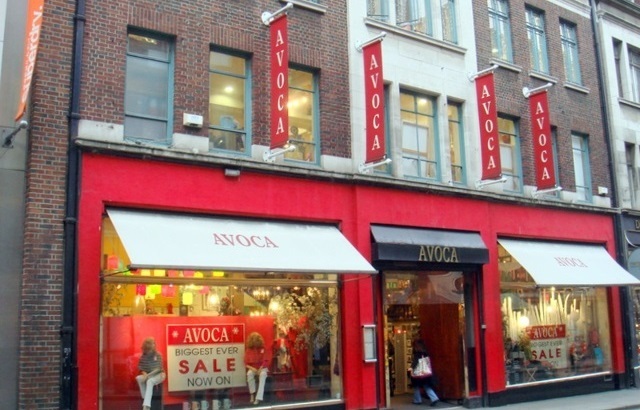 According to Avoca's most recently filed accounts, he business had a turnover of €58.8m in the year to the end of January last - up from €57.8m in its previous financial year. It made a profit of €2.2m, up from €1.3m in the prior period. Philadelphia-based Aramark is one of Ireland's largest US multinational employers. As well as in food it is also active in the realms of facilities management and uniform services. It employs 270,000 people worldwide.